Apple has just released iOS 7.1 beta 3 and it is now available for download. The third beta has been seeded to registered developers who can grab it from the dev center or through OTA if they are running the previous beta. 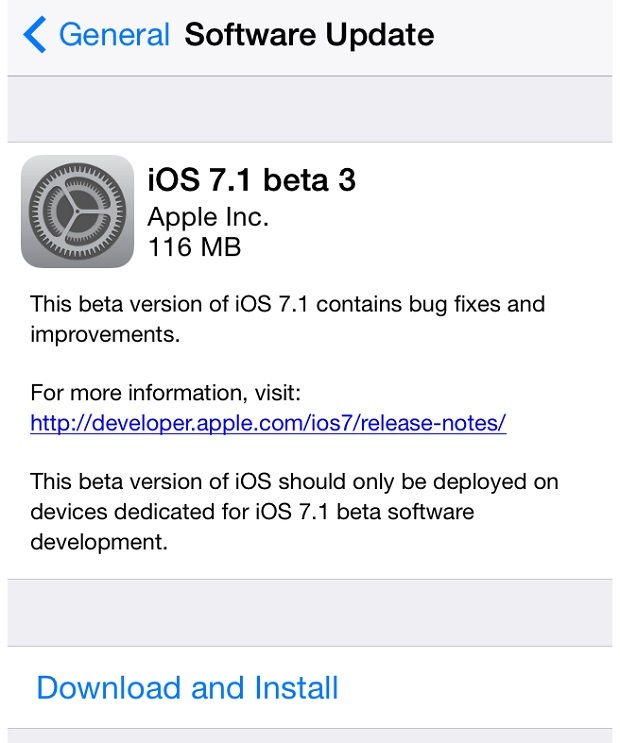 iOS 7.1 beta 3 has been released for all iOS 7 iPhones, iPads and iPod touch 5th gen. The first beta of iOS 7.1 was released back in November while the second beta was released in December. The build number for this release is said to be ’11D5127c’. It fixes the bug that caused problems while create iCloud account during setup and also fixes the error that was caused when users tried to enable iCloud keychain on their device. Beta 3 also fixes the iMessage bug that displayed sending error right after a sending a message. Other problems that have been fixed include problems that were caused when listening to audiobooks as well as an issue that was caused when 32-bit Bluetooth apps were launched on 64-bit devices. 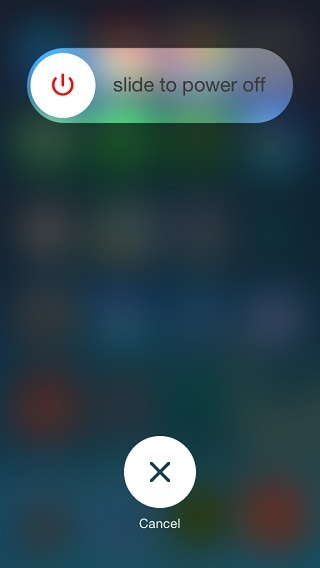 iOS 7.1 beta 3 brings a redesigned turn off screen. P0sixspwn for Windows to untethered jailbreak iOS 6.1.x goes live, download now!